Mario Carretero, Dr. phil., es profesor en la Universidad Autónoma de Madrid, donde fue decano de la Facultad de Psicología. Ha llevado a cabo una extensa investigación sobre Enseñanza de la Historia. Sus dos últimos libros son "History Education and the Construction of National Identities" (co-edited) (IAP, 2012) y "Constructing Patriotism. 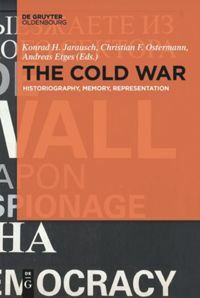 Teaching History and Memories in Global Worlds" (IAP, 2011) este último traducido al español y portugués. Recientemente ha publicado (junto con S. Berger y M. Grever): Palgrave Handbook of Research on Historical Culture and Education (2017). También ha sido Bliss Carnochan International Visitor at Stanford University y Santander Fellow at Harvard University. Ha desarrollado una amplia colaboración de investigación con instituciones de América Latina a través de la FLACSO (Argentina), para el estudio de la construcción de las identidades nacionales y enseñanza de la Historia. Mario Carretero, PhD, is Professor at Autonoma University of Madrid, where he was Dean of the Faculty of Psychology. He has carried out an extensive research on History Education. His last two books are "History Education and the Construction of National Identities" (co-edited) (IAP, 2012) and "Constructing Patriotism. Teaching History and Memories in Global Worlds" (IAP, 2011) being the last one translated into Spanish and Portuguese. He has recently published (along with S. Berger and M. Grever): Palgrave Handbook of Research on Historical Culture and Education (2017). Also he has been Bliss Carnochan International Visitor at Stanford University (2011) and Santander Fellow at Harvard University (2009-10). He has developed an extensive research collaboration with Latin American institutions through FLACSO (Argentina), studying the construction of national identities and History Education. Mario Carretero, Dr. phil., ist Professor an der Autonomen Universität Madrid, an der er auch Dekan der Fakultät für Psychologie war. Von ihm wurden extensive Forschungen zur Geschichtsdidaktik durchgeführt. 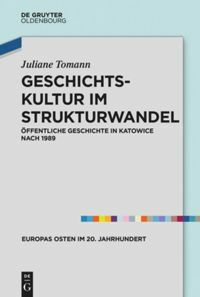 Als seine letzten beiden Bücher erschienen "History Education and the Construction of National Identities" (co-edited) (IAP, 2012) und "Constructing Patriotism. Teaching History and Memories in Global Worlds" (IAP, 2011, engl, span., port.). 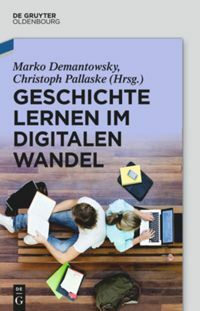 2017 hat er (zusammen mit Maria Greller und Stefan Berger) das "Palgrave Handbook for Research in Historical Culture and Education" publiziert. Darüber hinaus war er Gastprofessor an der Stanford University und an der Harvard University. Im Rahmen von FLACSO (Argentinien) entwickelte er eine breite internationale lateinamerikanische Forschungsarbeit zum Thema der Konstruktion nationaler Identitäten und der Geschichtsdidaktik. Is patriotism alive? Does it influence citizens’ historical representations? It is about the Reagan and the Obama kind of patriotism, and what they both have to deal with us--wherever we live. Based on empirical research, with examples from Argentina.